Millions of Americans suffer from degenerative disc disease every year. 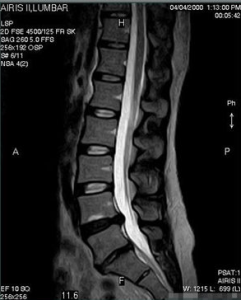 What exactly is a bulging disc and does it mean the person is going to have back pain? 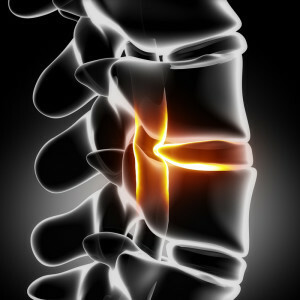 The normal spinal disc is known as the intervertebral disc and sits between the bones of the spine at every level. The disc ask as an excellent shock absorber with the normal disk being composed of 80% water and a 20% mixture of collagens and proteins. As a person shifts into middle-age, the hydration of the disc is slowly lost. 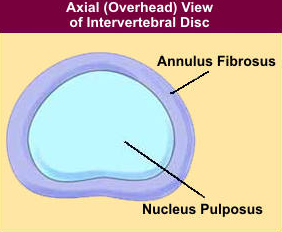 Degeneration of the intervertebral disc can begin to occur. There are also genetic factors along with occupational hazards that can lead to disc degeneration as well. A tire bulges as it loses air similar to a disc as it loses water. The best analogy to degenerative disc disease is that of a tire that is beginning to lose air. 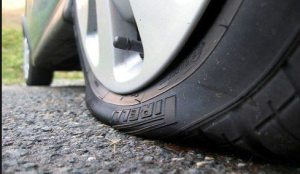 As this occurs, the tire begins to bulge out due to the weight of the car. The disc experiences the same phenomenon with bulging beginning to occur since there’s not enough disk hydration to withstand the bodily forces being placed on it. Studies have been done looking at the incidence of degenerative discs and bulging discs in the population. Over 40% of individuals over the age of 40 have evidence of bulging disks and degenerative disc disease. Interestingly, in the study that showed this, they only looked at those with no back pain whatsoever. So essentially what needs to be understood up front is that simply having a bulging disc does not mean back pain is inevitable. The disc itself has two parts to it, with the best analogy being that of a jelly doughnut. The inner part, the jelly, is known as the nucleus pulposus and has no nerve endings whatsoever. It does not feel any pain. The outer part of the donut is called the annulus fibrosis and has plenty of nerve endings. Therefore, if degenerative disc disease leads to tears of this region, then significant back pain may ensue. Notice the dark bulging discs in the bottom of the lumbar spine. So for those individuals with bulging discs who do have tears in the outer part of those discs, it may irritate nerve endings and cause chronic back pain. Or for those with bulging this may not be causing any back pain, and may just be there as an incidental finding of the patient. If the person does have bulging disks and has tears in the outer part of the disc that are causing pain, various treatment options are available. Physical therapy Las Vegas can help substantially with stretching and strengthening, along with electrical stimulation and ultrasound. Chiropractic manipulation may also be helpful and can include spinal decompression therapy along with TENS units and acupuncture. Some Las Vegas Pain Management Doctors advocate injections directly into the disk with steroid medication. A study published in Spine from 2004 showed significant benefit from these injections. If the back pain also has a component of buttock and leg pain, an epidural steroid injection may benefit the pain as well. If you or a loved one is experiencing back pain with bulging and degenerative discs, let the Nevada Pain Network assist you. The Network connects those in pain with the best pain management Las Vegas has to offer. Simply complete the form on the page or call (702) 323-0553 to get connected today!